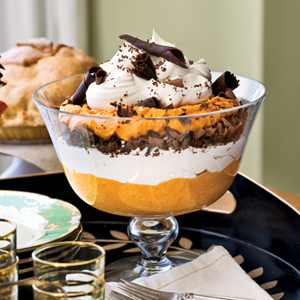 No-sugar added desert with layers of snow-white whipped cream and spiced pumpkin mousse create a festive dessert for the holiday season. Top with chocolate curls for an elegant presentation. In a lrage bowl, whisk Almond Milk or Coconut milk and pudding mix for two minutes. Let stand for 2 minutes or until soft. Combine the pumkin, cinnamon, ginger and cardamom; fold into pudding. Fold in 1/2 cup whipped cream. Divide evenly between 4 individual serving dishes parfait glasses or small wine classes. Refrigerate until serving. Top with whipped cream & organic shaved chocolate or organic dark chocolate chips! Makes 4 servings.